To find your ideal property, we need to know as much as possible about your requirements. This includes your rental budget, the date by which you need to move, the type and size of property you need, etc. You can let us know all about your requirements by registering online, phone or by visiting us where a member of staff can assist you. Viewings can be conducted 9.30am - 4.30pm Monday to Friday. You can book a viewing by phone 01908 930121 Option 1 Monday to Friday 9.00 am – 5.00 pm. We accompany and conduct all property viewings on behalf of the Landlord. In some cases, a tenant may not have left and may give us specific times for viewings, although we do ask them to be as flexible as possible. We have keys to all our properties and can generally access properties to suit your availability. To save time in the long run, you should try to ensure that anyone likely to share in the decision views the property as well. If the property is suitable for you, don't delay your offer as it could get secured for let by someone else on the same day! 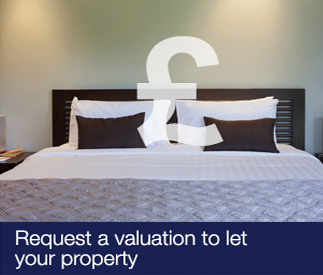 When you make an offer you’ll need to pay us an administration fee (non refundable) and fill out one of our tenant details form to reserve the property and cover our tenant vetting costs. The Admin Fee is non refundable. If we only receive the administration fee the property will only be held for 3 days so we insist you complete the tenant detail form along side the payment.